LIE Take EXIT 53 toward SAGTIKOS STATE PKY / BAY SHORE / SUNKEN MEADOW PK. Turn LEFT onto PENNSYLVANIA AVE. LIE Take EXIT 55 toward MOTOR PKWY. Stay on EXPRESSWAY DRIVE NORTH (Service Road) to WASHINGTON AVE. Turn LEFT on FLICK PLACE. Turn RIGHT onto BRENTWOOD PKWY. The course rating is 69.3 and it has a slope rating of 121. 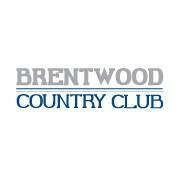 Designed by Devereux Emmet, the Brentwood golf course opened in 1925.